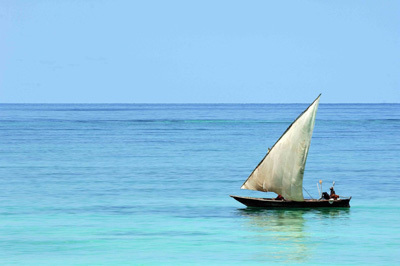 Zanzibar is predicted to be a hot favourite for 2012. It makes a great alternative beach holiday to the coastal resorts in Kenya. And Ras Nungwi can't be beaten for its stunning beach location and facilities. Recently renovated, the resort is situated on a beautiful stretch of unspoilt, breathtaking coastline with excellent views of the sea from all lodge rooms and chalet accommodation. It offers superb diving facilities and a new swimming pool with fantastic views, games area and fine dining restaurant with a daily menu making the most of the fresh local produce, seafood and spices. Prices: Seven nights at Ras Nungwi starts from £1,369 per person in 2012. The price includes flights, transfers, accommodation in a lodge room on a bed and breakfast basis, taxes and surcharges. Azura Retreats are adding a new private island lodge to their portfolio. Opening on 1 November 2011, Azura at Quilalea Private Island will boast nine beautifully decorated villas with spacious bathrooms, natural furnishings and stunning views. Located in a national park in the Quirimbas Archipelago in northern Mozambique in an undiscovered beauty spot, this is a top beach destination far from the mass market operations in Mauritius and neighbouring mainland destinations. Prices: Seven nights at the new Azura at Quilalea Private Island, with one night at the Royal Palm in Dar Es Salaam starts from £4,078 per person in 2012. The price includes flights, transfers, accommodation in a Sunrise Villa on an all-inclusive basis, taxes and surcharges. A great new safari add-on, the 12-room Nomad Lamai Serengeti camp opened in September 2011 and is situated in an unrivalled position on the Kogakuria Kopjie looking out over the Lamai Wedge. The area offers a great viewpoint of buffalo and wildebeest during the Great Migration and maximises the chance of catching river crossings. Prices: Four nights at the Nomad Lamai Serengeti camp start from £2,880 per person in 2012. The price includes internal transfers, accommodation on an all inclusive basis, taxes and surcharges. Excluding international flights. Nomad Lamai Serengeti can be used as a safari add-on to both Ras Nungwi and Azura at Quilalea Private Island. For more information on any of the above packages, visit africaodyssey.com.